Atelier Crafers at 1 Cox Place, Crafers is an eclectic contemporary art gallery incorporating exhibition spaces on two levels, a cafe, wine bar, gift shop and artist's studio. Established in 2017 by silversmith Ros Cameron, Atelier Crafers is located in the heart of Crafers in what was once a ceramic tile manufacturing warehouse and features the last remaining wall of the Crafers Bakery Stables circa mid 1800's. The Gallery is well situated in Crafers, the gateway to the Adelaide Hills, at the base of Mount Lofty and only 15 minutes from the CBD of Adelaide. Atelier Crafers is sympathetically designed, constructed and dedicated to showcase high quality contemporary art & craft of the Adelaide area. Paintings, sculptures, ceramics, glass, prints, jewellery, textile art and photography by emerging, mid career and established local artists are exhibited. 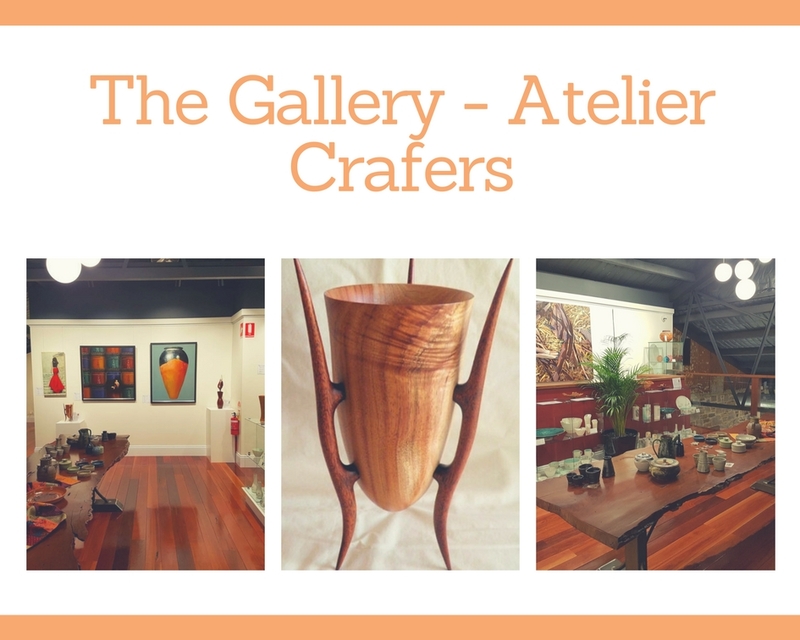 The Gallery - Atelier Crafers is proud to represent the diverse talents of artists and craftspeople and invites painters, ceramicists, sculptors, printmakers, photographers, jewellers, glass and textile artists to apply to exhibit in the gallery spaces. Submissions should be emailed directly to Atelier Crafers with images (with captions) in support of the proposal, a link to an artist website, an up to date CV, an artists statement and a separate single page outlinging the nature of the work you are proposing, including pricing and size of artworks. Please keep it simple, no power point, keynote or .zip files. All files must be emailed, do not send Drop Box invitations or download links. Applications on CDs cannot be reviewed. All submissions must be the original work by the submitting artist. Submitting a proposal is no guarantee of acceptance. Consistent with our retail space, we charge 40% commission on sales.